Join us at amazing Citi Field for an evening of education and relaxation September 16th. A recertification rodent workshop will be presented by Lipha Tech’s John Murphy in Citi’s state-of-the-art Auditorium. After the Seminar, we’ll watch the Mets play the Marlins in our own exclusive Party City Deck zone. Enjoy UNLIMITED peanuts, Cracker Jacks, chips, pretzels, hot dogs, burgers, chicken tenders, soft drinks, cookies and BEER! Don’t miss this great opportunity to meet and greet your colleagues on this memorable night. There will also be gifts, prizes and unique discounts and promos. Space is limited. Register now so you don’t miss out. Cost: $150.00 Deadline: September 9, 2015 No registration at the door! 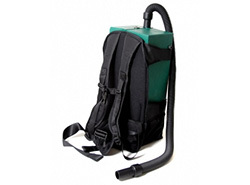 Buy an Atrix Omega Green Supreme Vac and receive a free backpack harness ($99.00 value). While supplies last. It’s 2015. There are cheap web-based options. Web-based offers security, versatility, and allows for greater growth. Get your career in pest management started right with this course which allows you to sit for the New York state licensing exam. PCOs can take individual sessions for recertification credits. The cost for the full course is $598.00. Pre-registration is required. Space is limited. Under no circumstances will registration be allowed at the door. Come join us for lunch and refreshments. 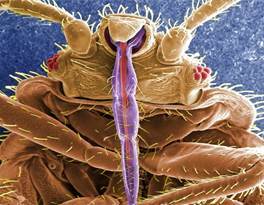 Afterwards, we’ll present an advanced training program on bed bugs and their control. Learn about their biology and habits in light of new research; we will review detection and treatment survey results; and we will evaluate chemical, non-chemical and mechanical product performance. In the second part of the program, we will learn about Dr. Susan Jones’ published study in the Journal of Medical Entomology on the effectiveness of permethrin-impregnated mattress liners. Attendees will also have the opportunity to try out assessment tools hands-on. Take advantage of some special one-day-only promos. Don’t miss out! Payment is final. No Registration at the door. Join us on Wednesday, September 16, 2015 at amazing Citi Field, home of the New York Mets, for an evening of education and relaxation. 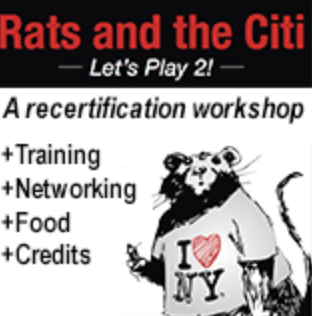 A recertification rodent workshop will be presented by Lipha Tech’s John Murphy in Citi’s state-of-the-art Auditorium. After the Seminar, we’ll watch the Mets play the Marlins in our own exclusive Part City Deck zone. Enjoy UNLIMITED peanuts, Cracker Jacks, chips, pretzels, hot dogs, burgers, chicken tenders, soft drinks, cookies and BEER! Don’t miss this great opportunity to meet and greet your colleagues on this memorable night. There will also be gifts, prizes and unique discounts and promos. Space is limited. Register now so you don’t miss out.